by Max Keiser, host of RT's ‘Keiser Report,’ former stockbroker, inventor of virtual specialist technology and co-founder of the Hollywood Stock Exchange. All pretense is now gone that central or global bankers can 'securitize' growth by packaging and repackaging debt; by hypothicating and rehypothicating debt; by regulating and rergulating debt. 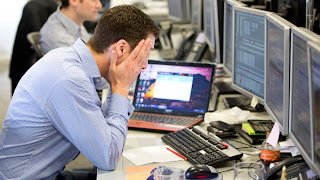 Since the bond market rally began in the early 1980s (yes, it's that old) each crisis has been met by central and global bankers – the IMF, EU and ECB, to name a few – and their Wall St. and City of London brethren with an increase in debt, and an extension of the debt's maturity. The result has been – as of 2007 – the biggest mountain of on-balance sheet and off-balance sheet debt in history: A staggering $220 trillion in debt in America's $14-trillion economy alone (when you include all public, private and contingent liabilities of unfunded entitlement programs). Deals in the global debt derivatives market now stand in excess of $1 quadrillion, riding above a global GDP of approximately $60 trillion. But starting in 2007, and then becoming spectacularly apparent in 2008 with the Lehman collapse, the ability of the world's taxpayers to pay either the interest or principal on this debt has hit a brick wall. And for several years now, governments around the world have tried the same old tricks of 'extend and pretend.' Repackage and extend the maturity, and pray that tax receipts start picking up enough to pay some of the debt off. It didn't work. The debt bomb just got bigger. Now in Cyprus we see the inevitable next phase: Confiscation. To pay off the debts that were incurred to finance the biggest wealth grab in history, we see in Cyprus, as well as central and global banking institutions around the world, a trend to just reach in and grab people's money from their 'insured' bank accounts. We should have figured out this was coming when JP Morgan (read: Jamie Dimon) reached in and illegally stepped ahead of customers at MF Global and grabbed over $1 billion, with the help of his crony pal Jon Corzine. Have we learned our lesson yet? 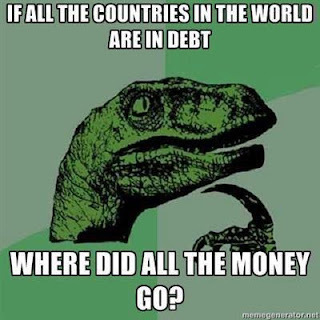 They have more debts to pay than there is money in all the bank accounts in the world. This means that chances are, you – whoever you are, and whatever country you live in – will have a sizable percent of your savings stolen by banksters. Since the crisis hit (and for several years leading up to it) we've been recommending on ‘Keiser Report’ to put as much money as you can in gold and silver. Our advice then and now is: The only money you should keep in a bank is money you're willing to lose. ICELAND. No news from the Icelandic Revolution?